On Friday, February 1, in Downtown Los Angeles, Robert Caldwell, Global Ambassador at Teeling Whiskey Co., Dublin's first new distillery in over 125 years, joins The Museum of the American Cocktail & Pacific Food & Beverage Museum for a liquid lesson in Irish whiskey and an expert-led tasting of Teeling's award-winning and critically-acclaimed finest. The Hibernian feast features Irish Pasties, Guinness Stew, Shepherd's Pie, and more; four pours of Teeling Irish Whiskey, including Small Batch, Single Malt, Single Grain, and the ultra-rare Vintage Reserve Collection 24 Year Old Single Malt; two Teeling cocktails, one of them easily the best Irish Coffee you've ever tasted; plus, following dinner, live music and dancing courtesy The Organ Donors! Dinner is $59 for all National Food & Beverage Foundation (NatFAB), hospitality industry, Culinary Historians of Southern California, and SoCal wine and spirits club members, or $69 for non-members, and includes tax and gratuity. Space is strictly limited, and reservations are required. NatFAB membership is available to all at natfab.org/membership. A portion of all proceeds support NatFAB, home of PacFAB, The Museum of the American Cocktail, and Southern Food & Beverage Museum. All sales are final. Because our host restaurants require non-refundable deposits and reliable guest counts, we cannot issue refunds on our curated dinners or cocktail seminars. We regret any inconvenience this may present and appreciate your understanding. If you have any issues with the ticketing software or would prefer to make your reservation on the phone, please call us at 657-204-2478. Having grown up in the tourist mecca of Byron Bay on the East Coast of Australia, Rob quickly developed a love for the hospitality industry. Eighteen years of bartending in cocktail and whiskey bars across the globe, from Australia to Canada and from England to Ireland, Rob now proudly calls Ireland home. Rob has opened and run some of Ireland’s most celebrated cocktail bars, and he's always had a passion for Irish Whiskey, in particular. 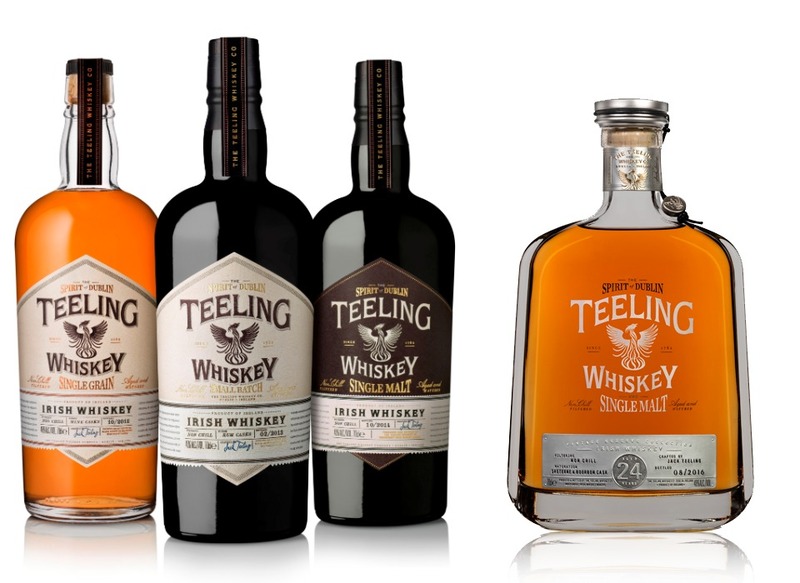 An admirer and collaborator of Teeling Whiskey from its inception, Rob jumped at the opportunity to represent the brand globally, spreading the good news of the revival of Dublin whiskey to the four corners of the world. Built in 1916 and originally housing a general store and Turkish bathhouse, Casey’s Irish Pub opened in 1969 and was acquired by NatFAB Board member Cedd Moses’ 213 Hospitality group in 2007. The underground pub, set in one of Central Downtown Los Angeles’s few single-story buildings, serves a variety of purposes, acting as a restaurant by day and a casual drinking hole at night. The full bar, highlighting different varieties of whiskey, is accompanied by a food menu offering both traditional Irish dishes as well as sports-bar staples such as wings, burgers, and sandwiches. The 10,000-square-foot space is surrounded by photos of athletes and features an outdoor patio, a dart room, billiards, ping-pong, multiple TVs, and several reception rooms for private parties. In addition, its performance stage offers live entertainment, including musical performances, comedy routines, and trivia nights. Herb Society Spring Plant Sale at SoFAB!